September 23 Drive Your 356 Day for all Members from Gordon Maltby Get that 356 out on the road and head for a scenic, historic or just cool place. Take a photo of you, your car, your group (we like PEOPLE photos!) and email it to us at membership@porsche356registry.org. Be sure to send a hi-resolution version, not one that’s been “dumbed-down” by your computer or phone. Photos are due by October 1st so we can get them in the magazine. Have fun! September 28 356 Registry Reunion II, Friday afternoon in the park. Carmel Valley Community Park. 2 miles east of Laurles Grade. The dinner/beer tickets are all sold out, if you didn’t get tickets, come anyway, good parking, no cash host bar, close by are delis and restaurants in Carmel valley. Bring a lawn chair, and enjoy the afternoon, sunscreen as it can be hot out in the sun. First, let me tell you what to expect. 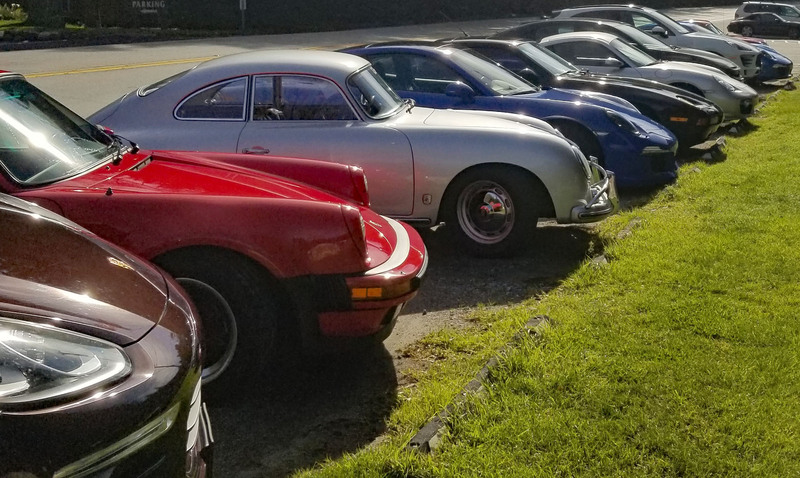 We rented a large portion of the park to ensure room for the registered 200+ 356s and 35 other Porsches. There will be a 40’ x 80’ tent with seating for 300 plus the Registry goodie store. Additional standup tables will be placed under the spreading oaks. Handicapped parking will be provided behind the park’s museum. Portable toilets for the men will be in a far corner of the park paved area while the ladies will use the two facilities built into the museum. Two wash stands will be provided. Park officials have been instrumental in securing a portion of the Hidden Valley Music Seminars parking area for our use. Last event we had plenty of guest parking in the park lot. An entrance sign marks the right turn to the parking area, just past Ford Road. There is a crosswalk at the Ford Road corner and a footpath leading to the park which is just a hundred yards away. Volunteers and/or signs will aid you in finding the turn, directing you to our part of the lot, and assisting at the crosswalk. Note the park entrance is a left hand turn just past the Music Seminars. All registrants who declared they were driving their 356 can park on the grass. Parking is first come first parked in a mix-and-max fashion. 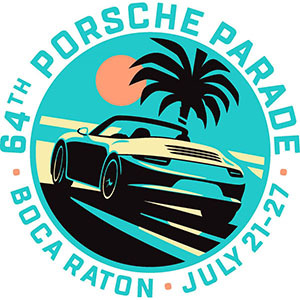 Other Porsches will park in a special area as directed by volunteers. You will receive a car placard when you sign in to help match you to your car. It’s hoped this will encourage member interaction and conversation since many members are from out of state. Is there a car show?, No Show. When you arrive you will park next to the guy in front of you. We will try to make a few exceptions for special cars but no guarantees. 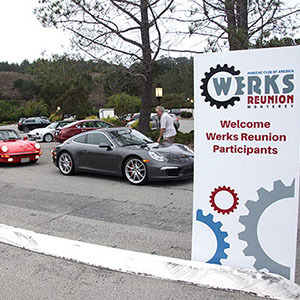 A memento of the day will be our way of recognizing those intrepid drivers who came with their 356. You will pick it up at sign in. ****October 6 Bay Area Breakfast (formerly known as San Mateo Breakfast) We have a new location!!!!!! Jack’s at the Newark Mall, Newark. Where’s Newark? Between Hayward and Fremont, Mowry Ave West Exit. Why did we move? 1st we had Mimi’s close without notice, and we moved to Belmont’s IHOP, which was ok but the parking was an issue as was the size of the room. Jack’s has been around for several years on the Peninsula, and recently opened in Newark. Jim Reeder went and talked to the manager and he was excited to have us, a huge private room, an outside deck, plus an extensive menu at great prices. Jim went to the Mall Security, and they said no problem with placing cones for private parking. So 8:30am in the west side (back, away from #880) left side of Macy’s. The 356 California Alta Region (356CAR) will be gathering at Cornerstone Sonoma on Saturday October 20, 2018. This is the third and last Peaks and Valley Challenge event for this year. The two previous events included drives to Mt Diablo and Mt Hamilton. As described in the 356CAR Newsletter, a member can earn a unique one of a kind car grill badge by participating in three Challenge events over a two year period (2018 and 2019). Cornerstone Sonoma is home to a collection of unique shops and galleries each independently owned and each showcasing an elegance in style and a uniqueness of expression found nowhere else. Sunset gardens will be open for your enjoyment as well as shops, wine, beer and spirit tasting and restaurant. The restaurant is fair priced, No Picnic Lunches Allowed. If raining the tour will be re-scheduled. The gathering, which was organized by Rocky and Nell Raymond, will include four organized drives from four different Northern California locations all ending at Cornestone. The four tours and their leaders are listed below. For all four drives, please show up with a full tank of gas. Sacramento Area: Rocky and Nell will be leaving from the Starbucks Coffee Shop parking lot at 403 Mace Blvd. in Davis at 9:00 am on Saturday. North Bay Area: George Slater will be leaving from parking lot in front of Starbucks at 132 Vintage Way, Novato at 9:15 am. South Bay: Larry Anderson will be leaving from the Woodside Road Park and Ride lot on the West Side of 280 at Woodside Road at 8:30 am. We ask that you REGISTER for the event by sending an email to Rocky Raymond with the word Cornerstone in the email Subject line. In the email please indicate how many in your party. If you plan to take one of the other drives (other than the one led by Rocky and Nell from Sacramento) please also send a copy of the email to the group leader of the drive you plan to take and indicate which drive you plan to join. Email addresses and cell phone numbers are listed for the group leaders below. If there is sufficient interest in activities for those who want to stay over in the Sonoma area Saturday night we will do what we can to help to organize them. If you are interested in staying in the Sonoma area on Saturday night and participating in 356CAR activities that day, evening and on Sunday morning please send an email to Barney Speckman.